Editor's note: These bulbs are now available for purchase. You can read our hands-on review here. GE sees too many consumers struggling to get a handle on the connected-home concept. Many are coming to retail stories interested in buying home-automation devices, but walking out empty handed because they don’t understand how all the pieces fit together. 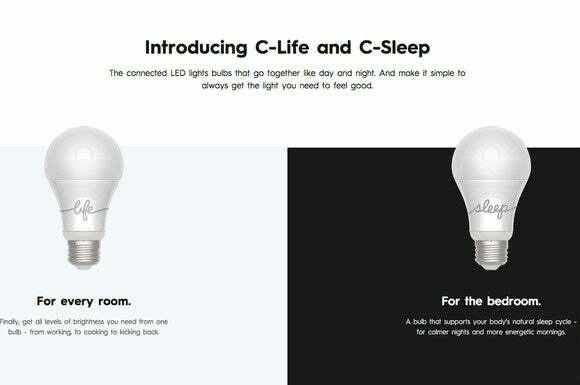 So the company is mounting a two-pronged attack: It’s launching a new online presence—C by GE—a consumer-education and direct-sales storefront, and it’s developing a new line of affordable connected LED bulbs. As GE’s Global Leader of Commercial Marketing Steven Pepe explains, the company’s new online presence is designed to speak directly to consumers, at once “simplifying and communicating more information.” GE will also test-market new products at C by GE before introducing them to more traditional retail channels. GE will offer a four-pack of its new connected LED bulbs (two C-Life and two C-Sleep) for $50 starting in January. The first bit of gadgetry out of the C by GE Innovation Lab is a pair of connected and dimmable LED light bulbs, which will be sold in four-bulb packs. GE isn’t exactly new to the connected-home space. It backed the crowd-sourced invention company Quirky (which recently filed for bankruptcy), and it partnered with Quirky’s viable-for-now spin-off Wink in the development of its earlier GE Link dimmable LED bulbs. Unlike those bulbs, which depend on a Wink hub for control, the new GE C bulbs will have Bluetooth radios, so they can be controlled from a smartphone or tablet—no hub or bridge required. In that sense, the GE C will be similar to LIFX’s bulbs, which operate on your Wi-Fi network. GE is shooting for simplicity here: If you can pair a Bluetooth speaker or headphones, you can set up these bulbs. But while they might be simple to install, GE tells us they’ll also possess the requisite “smart” features, including the ability to group bulbs and to set timers. The GE Sleep bulb produces white light only, but its light can be tuned to a broad range of temperatures. While both GE bulbs produce white light (not millions of colors like the more-expensive Philips Hue), their capabilities and hue vary. 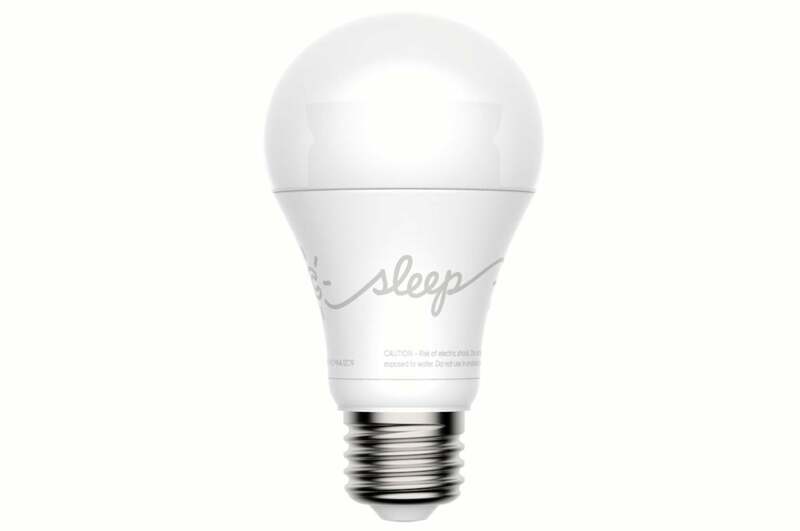 The C-Sleep is the more interesting model, as its color temperature can be tuned, like the well-regarded Osram Lightify. Out of the box, GE will preload the associated app with a “recipe” that specifies different morning, midday, and evening hues. 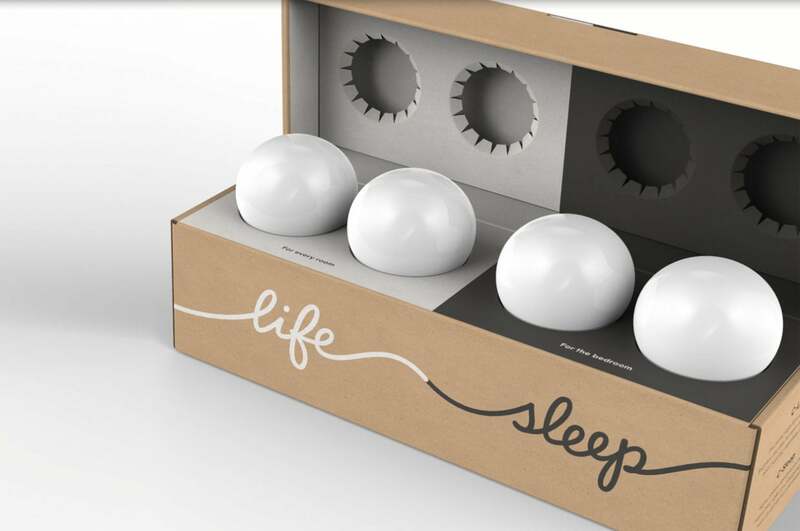 I’m no scientist, so I can’t evaluate GE’s claim that this will help regulate your body’s melatonin production—leading to better sleep—but I can tell you that many will appreciate the ability to manually dial the color temperature from 2000 degrees Kelvin to 7000K, dependent on mood, location, or time of day. Need bright white while working? Check. A warmer yellow while chillaxing? Not a problem. The C-Life bulb, on the other hand, delivers a fixed color temperature of 2700K. That’s suitable for an all-purpose light, and it’s my preferred temperature for the non-tunable LEDs around our house. 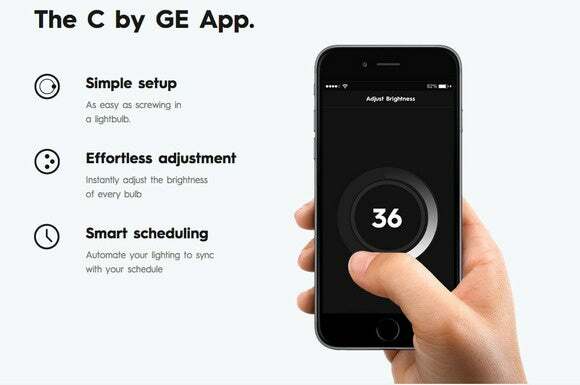 GE’s new bulbs will be controlled via a smartphone or tablet app, there’s no hub required (although they might end up being compatible with the Wink hub). With its focus on simplicity, power users might think GE is taking an unappealing go-it-alone approach. But Pepe says that while a hub is not required, that doesn’t mean the C by GE bulbs won’t work with one; in fact, he anticipates that the new bulbs will integrate with the Wink platform. Both the Wink Hub and the Wink Relay, after all, are outfitted with Bluetooth radios. Pepe also said that that GE is pursuing “partnerships with other brands,” and that we should expect “additional new products” from this group. 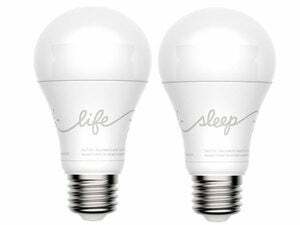 GE expects to offer four-bulb starter packs (two C-Life and two C-Sleep bulbs) at its online store in January 2016 at the very competitive price of $50.